You read the newspaper articles. You see the photos. You listen to the radio reports and hear of close calls from friends of friends. But nothing — nothing — prepares you for seeing first-hand the devastation from the late-April storms that ripped through the South, decimating communities and killing more than 300 people. Such as in downtown Cullman, Alabama — a town of about 15,000 in north central Alabama east of I-65 known for its German heritage, its Oktoberfest and All Steak restaurant’s orange rolls. And now it’s known for the April 27 tornado that roared through. My friend Susan and I were stunned to speechlessness as we drove past blocks and blocks that literally looked as if they’d been bombed. We were especially struck by scenes such as the American Red Cross headquarters, clinging to the corner of a relatively minor-damaged street, that’s in no shape to shelter anybody. And the man in what was left of his backyard, doggedly replanting a vegetable garden in the midst of unbelievable destruction. 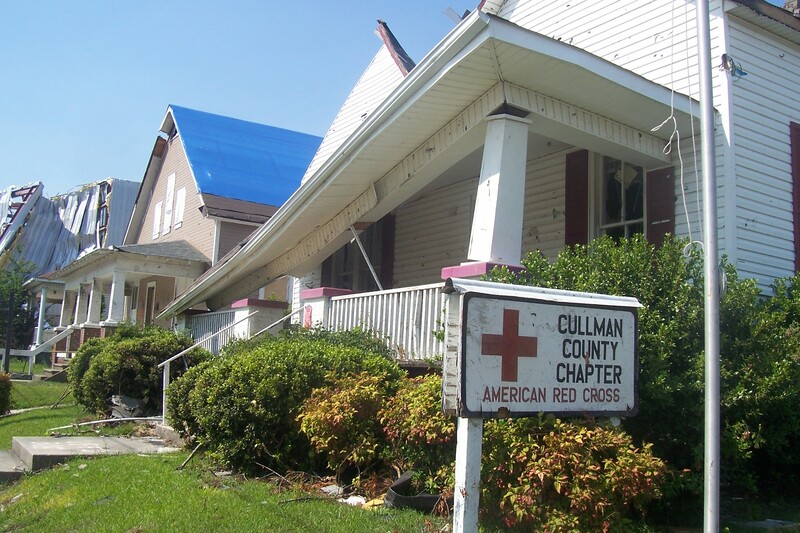 Cullman — and Hackleburg and Phil Campbell and Harvest and Tuscaloosa and Smithville, Miss., as well as other towns, will rebuild and recover … and always remember. 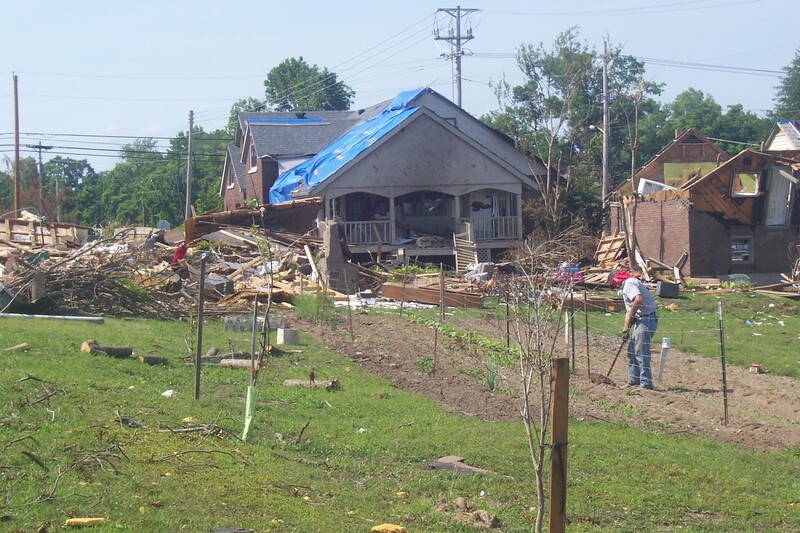 This entry was posted in Alabama, family, journalism and tagged Alabama, Alabama tornado damage, American Red Cross, April 27 tornado, Cullman Alabama, Hackleburg, Hackleburg Alabama, Oktoberfest, Phil Campbell, Southern storms, tornado damage, Tuscaloosa Alabama by Coffee with Cathy. Bookmark the permalink. What was amazing about the Cullman tornado is that one of the monks at the abbey saw the tornado coming at the monastery and grotto. It & the convent next door did not have much damage and the grotto miniatures did not sustain damage. Mary, we heard many stories like that. Absolutely amazing.